Handyman jobs may sound too easy to execute, but like any other trades, it comes at a cost. It’s best to have a gist of the handyman price list that you can refer to before a handyman goes to your house. Although the cost of hiring a handy worker in your area can differ from place to place, familiarising yourself with the basic handyman price list across Australia shouldn’t be overlooked. It’s important that somehow you know the standard cost and variation to help you choose the best handyman in your community. On average, handymen from Victoria and South Australia charge more or less $46 on an hourly basis. Other states and territories like NSW, Western Australia, Queensland and ACT, handyman cost can play around $51 to $55 or more per hour. On another note, typical quotes for handyman jobs can range from $80 to $240, which vary based on job complications and required procedures. The value can go higher – say $300 – for complex jobs that take long hours to finish. 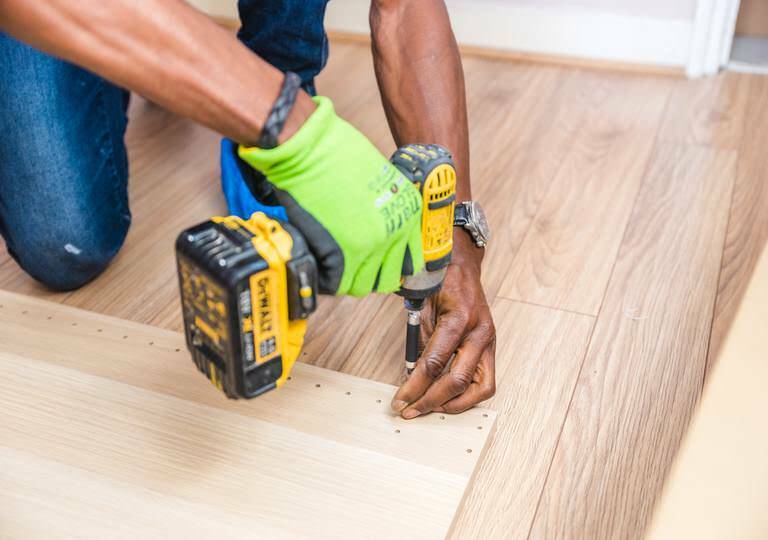 A handyman tasked to put flat packs together or fix some issues can charge around $80 to $200. Depending on the quantity and the amount of your flat-pack furniture, the cost can reach up to $200 or more respectively. Window repair jobs typically cost around $40 to $50 per hour and can reach up to $100+ when emergency fixes are necessary. Door repair costs also range from $45 to $60 depending on the number of factors (e.g. number and size of doors) that influence the overall price. Giving your door or fence a new coat of paint can cost around $100 to $200. The size or dimension of the fixture as well as its current condition will determine the amount variation of the handyman service. The price can be as high as $350 to $400 especially if you ask your prospective handyman to lay multiple coats in a single room. Saving tip: Going for general repair or maintenance jobs can be a great way to save money. Identify the areas that need urgent fixing or replacement and group them together to have the handyman accomplish one task after every job completed. Overall, the handyman price list across Australia may vary depending on your location, complexity of the job, and the tradie’s degree of experience. In some states, minimal work requires you to pay around $40 and can reach nearly up to $60 per hour if the job demands a higher skill level. So in this case, hiring a local handyman is more practical than getting a tradie who service far from where you live. This keeps you from shelling out extra cost for high call-out fees (travel and gas expenses). However, paying a call-out fee in some cases is fine especially if the handyman needs to perform small inspections and quick fixes. Minor fix-it jobs such as repairing a door hinge or replacing a light bulb can eat up a few amount of time. Likewise, using multiple tools may not be required since the task only demands a simple process. That means you only have to spend less money on this type of work. Note: Some professional handymen provide discounts for homeowners (especially repeat clients). For instance, they can charge a flat rate (e.g. $80) for the first hour and the succeeding half hour or more will cost lower than the standard price. While it helps a lot to know the average rates for each job that a handyman can do, consider other aspects also. Be sure to hire a handyman with good customer reviews, work ethics and insurance (in case something happens) to help safeguard your property. How to get a handyman licence in NSW?